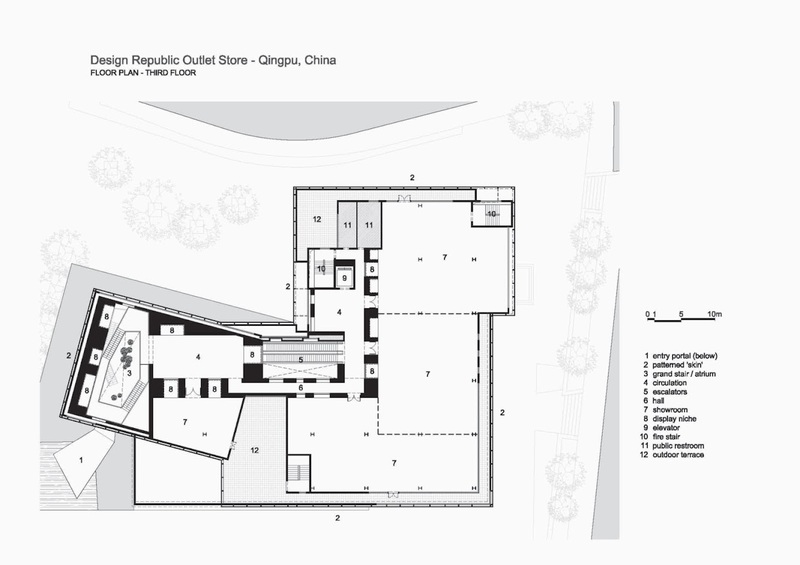 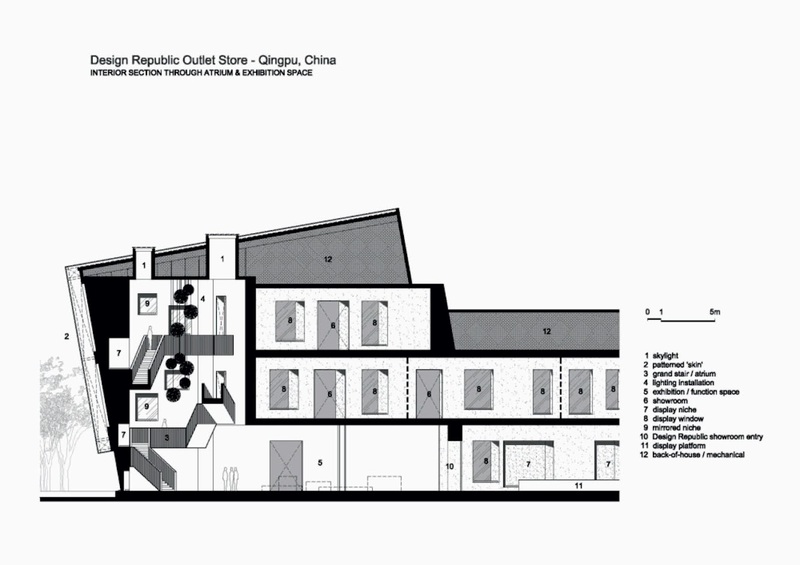 The new Design Republic's Design Collective is located in the outskirt of Shanghai in a town called Qingpu. 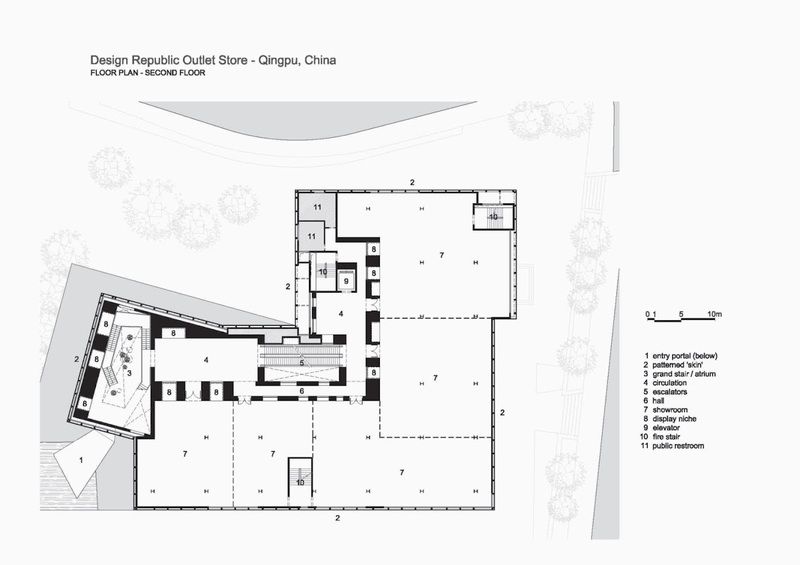 Neri & Hu inherited an existing building and was given the task to completely redesign both the exterior and the interior without demolishing the existing structure. 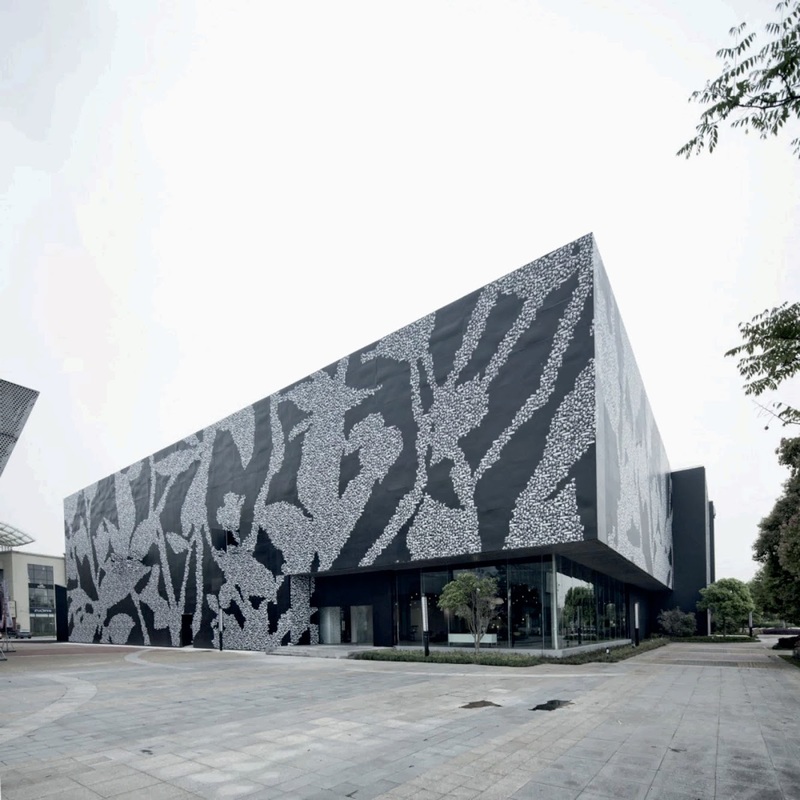 Their interpretation of this was to cover the original building in order to create a new exterior identity and to fabricate an introverted spatial platform to create a new identity for the Design Collective, a group of furniture retail initiatives in the city. 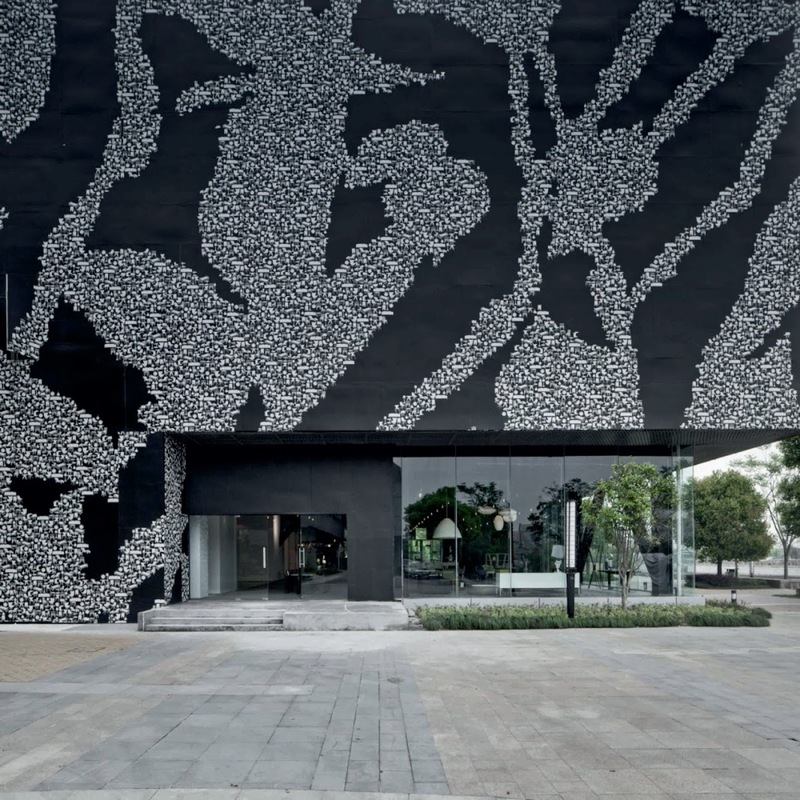 The existing building has been completely covered with an opaque graphic wrapper made with carbon fibre panel to create an introverted spatial condition in order to showcase the furniture of Design Republic dynamically. 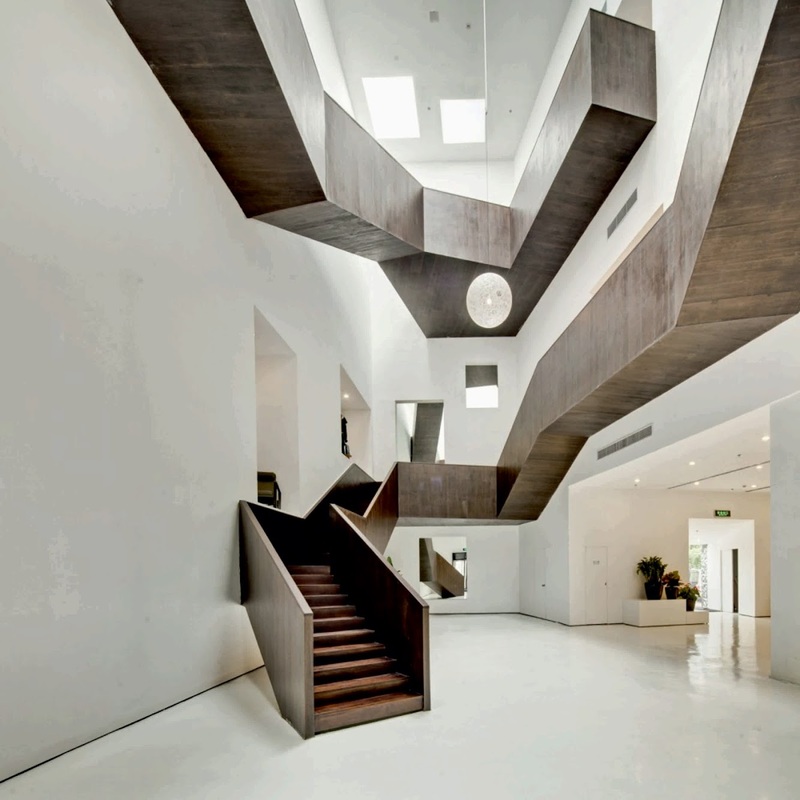 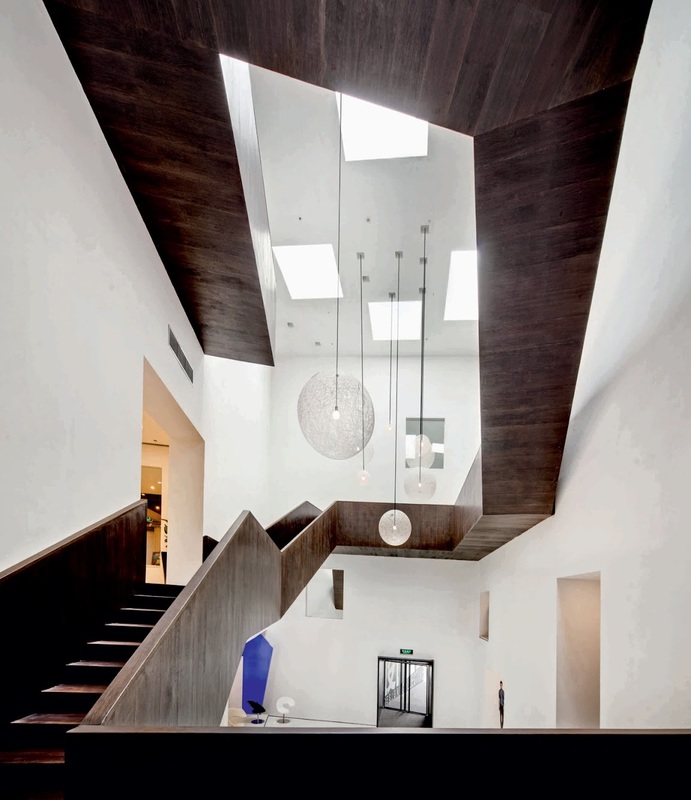 The main entry features a geometric staircase which the designers call a “steel funnel”, running through the three-storey open atrium, serving as a transitional element from the exterior urban context to the exhibition space inside. 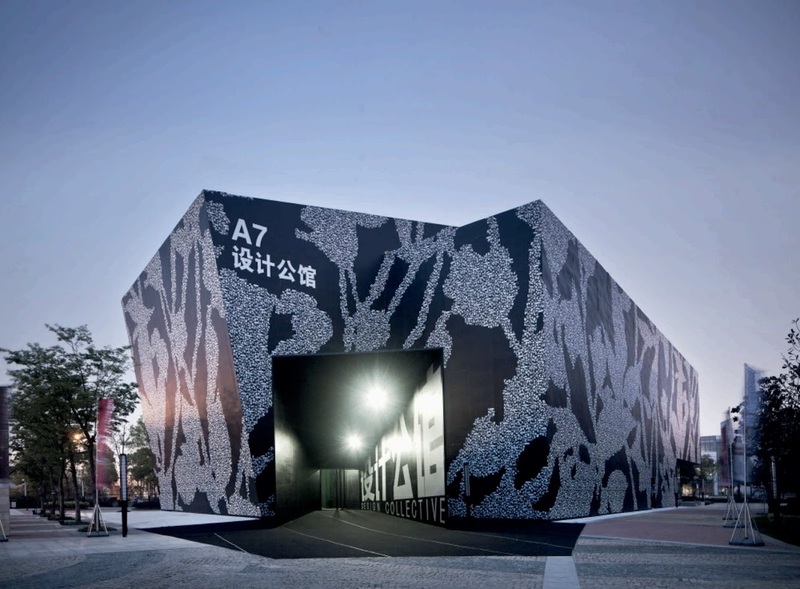 The entry tube also serves as a means of emphasising the expectancy of visitors’ arrival into the 3 storey exhibition hall. 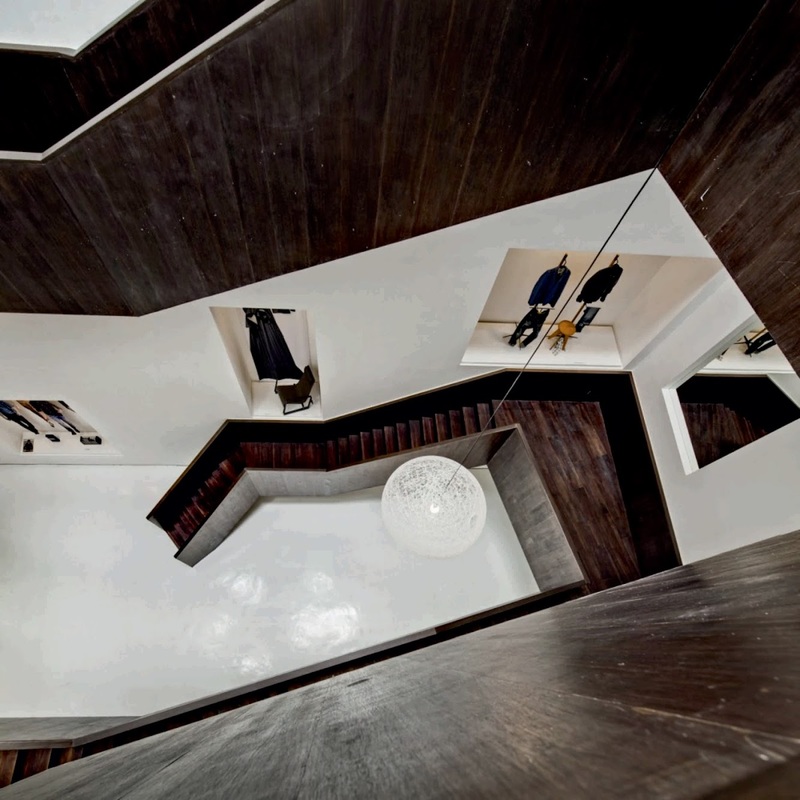 The staircase wrapping the interior of the main exhibition space takes the visitor through the multiple levels of display where the furniture can be viewed from varying angles and vantage points. 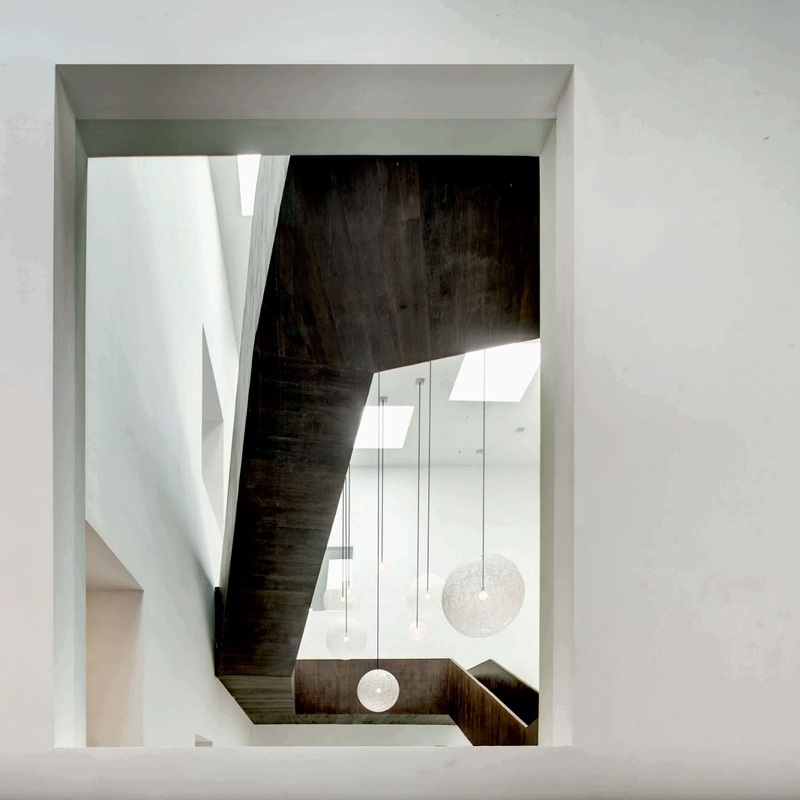 The visitor then climbs higher through the gallery levels, admitted by seven large openings in the roof which serve to allow daylight into the exhibition space whilst simultaneously generating a moment of ‘visual release’. 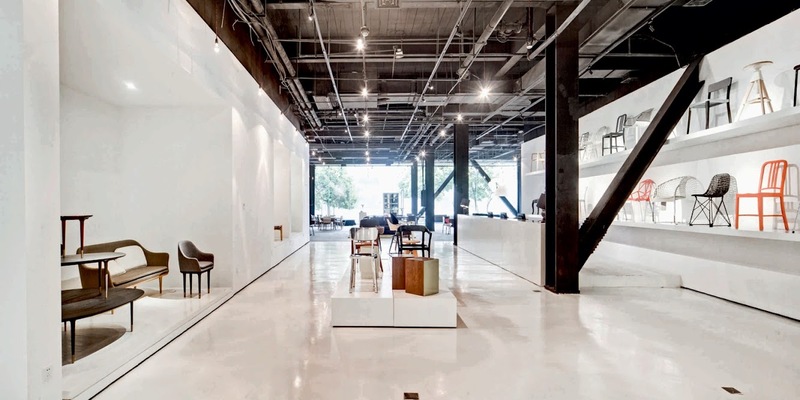 The building is owned by Design Collective, a furniture retail initiative. 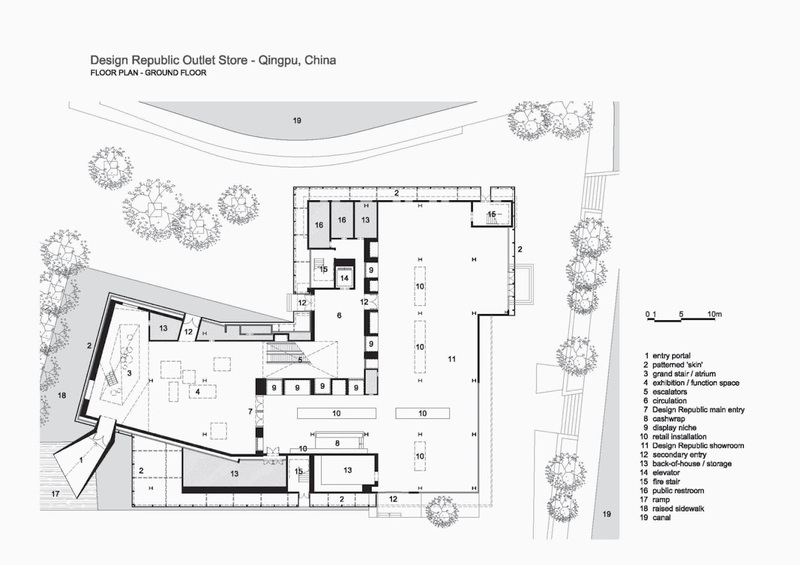 It includes a 2000-sq-m showroom and shop for its brand Design Republic, which seeks to explore the relationship between people and the objects they use in everyday life.